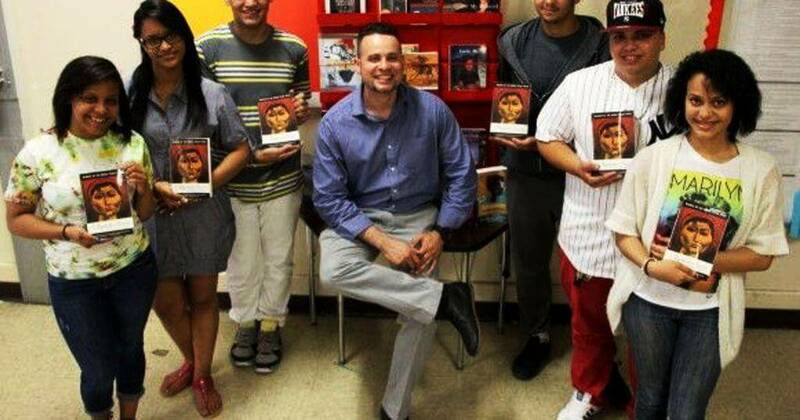 September 2013 was memorable for James Monroe High School English language arts teacher Alexci Reyes. His English 12 class was officially changed to 12th Grade elective: Introduction to Latin American Literature–quite possibly the first of its kind in the Rochester City School District. In the past decades, the RCSD has consistently promoted a culturally sensitive/culturally responsive curriculum. (An imperative made more important now that one Common Core mandate is to create curriculum reflecting particular school demographics.) As defined by Reyes, this pedagogy responds to the lived experience of students, grounded in the belief that all culturally and linguistically diverse students can excel in school when their culture, language, heritage, and experiences are valued and used to facilitate learning and development. Nowhere is this more visible than in the District’s robust African-American program that reaches hundreds, maybe thousands, of students yearly. It was a labor of love. But what a labor it was. Look at the curriculum map he created. Your admiration for the hard work of teaching will only grow. Reyes takes his students through a dazzling range of genres and texts weaving together history and literature, fiction and non-fiction. Historical documents by Gonzalo Fernández, David, Bernadino de Sahagún and León-Portilla chronicle the colonial period, conquest and post-colonial events in regions of Latin America. Students are exposed to excerpts from indigenous literature, such as Mayan and Aztec Codices, religious legends from Popul-Vuh (transliterated possibly by Diego Reynoso). When covering literature written in the 19thcentury, this class may come across authors like Simón Bolívar, José de Alencar, and Juan Francisco Manzano. Between 1900-1950’s, the class will engage with Rubén Darío, Horacio Quiroga, Ricardo Gǘiraldes, excerpts by Angel Asturias and poetry from Julia de Burgos, Pablo Neruda, José Martí, etc. As mentioned, Reyes especially enjoys the BoomWriters unit from the 1960’s – 1980’s. Authors may consist of Jorge Luis Borges (considered pre-Boom writer), Alejo Carpentier, Gabriel García Márquez, Julio Cortazar. Reyes makes it a point to problematize historical notions of who and what The Boom “phenomenon” is by including women writers. Reyes incorporates within the Boom Writers unit, “El Boom Femenino”: María Luisa Bombal, Rosa Maria Britton, Maria Luisa Puga, etc. The so called Post-Boom authors or better known as MacOndo Movement (1980’s-Present) may include Rigoberta Menchú, Ana Lydia Vega, Isabel Allende, etc. The notion of borders is also considered by taking a closer look at multiple hybridities such as el jíbaro, gender, and the Latin@ diaspora. These conversations take place with novels like Esmeralda Santiago’s When I Was Puerto Rican. In addition, when the class reaches contemporary times, students read and discuss articles and view media on present day events. Fundamentally, Reyes’ culturally sensitive/responsive approach appears to be working; the students have for the most reacted positively. He does wryly and realistically note, “The typical comments like, ‘This is too long a text’ is echoed in every English classroom across America.” Nonetheless, Reyes has witnessed firsthand that students seem to really enjoy the content because it is relevant to their lives. He has seen more genuine motivation and interest on the part of his students during the piloting of this class than ever before. Students have written responses to the readings, participated in meaningful class discussions and created PowerPoint presentations on the theme of social justice with the use of a genre known as testimonio. 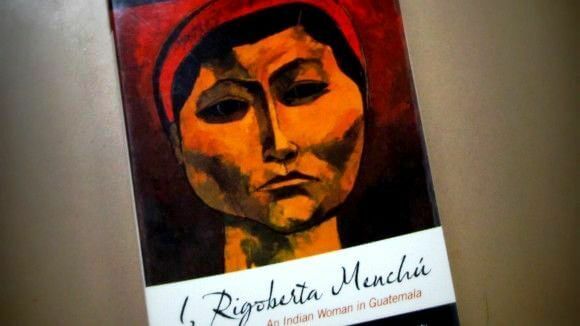 As seen in the photo, the class used a popular testimonio titled I, Rigoberta Menchú. Students took a critical stance by focusing on a quote they chose from the reading that served as a base for understanding the main character’s pursuit for social justice. By all measures, the pilot class has been a smash hit. Now it is up to the District to disseminate Reyes’ model beyond Monroe to form a really vibrant Latin American Studies program. This should be the start of something big. If this isn’t impressive enough, there is more to Reyes. Like many RCSD teachers, Reyes is actively pursuing his chosen field. Currently, he has finished his doctoral course-work at the University of Rochester’s Warner School of Education, now conducting research on critical approaches in English language arts instruction. He has already presented a paper at Albany State University for the Puerto Rican Studies Association (PRSA)—Towards a Resolution of Identity Politics in the Literary Canon: Negotiating Multicultural Writing Pedagogy (ies). For all his admirable academic ambition, Reyes plans to always work with high school students. That’s his mission and passion. Reyes is hardly alone. I bet readers would be surprised to learn how many teachers are determined lifetime learners, ever intellectually curious about history, English, science, you name it. 12th Grade Elective: Introduction to Latin American Literature is an RCSD success story we can all applaud. Instruments tuned up by their creator, Urban Steel is set to sway Rochester. Next stop, Antigua? No highly effective teachers at SOTA? Something is not right.